Skippy Foods, the local manufacturing plant owned by Hormel Foods Corporation (NYSE: HRL), today announced a donation of $10,000 to the Arkansas Food Bank to fight hunger in the Little Rock community. 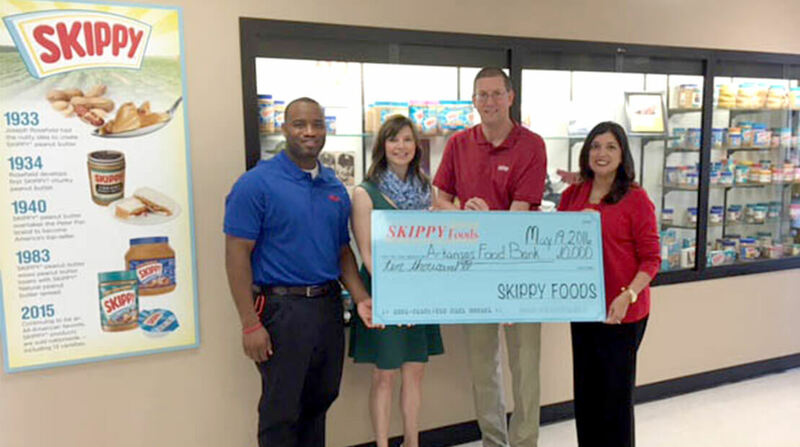 In addition to the $10,000 donation, Skippy Foods employees hosted a food drive and collected team member donations for the organization. Employees donated 348 pounds of food and more than $115 for the Arkansas Food Bank. The Skippy Foods plant will also donate more than 500 pounds of peanut butter to match the employee donations. For the past two years, the plant has donated $10,000 to the Arkansas Rice Depot, and earlier this year, the organization merged with the Arkansas Food Bank.